Just FOUND, 6 carbines coming up for sale/auction at the end of October. If anyone is looking, let me know and I'll send you the details. Cheers, Mike. Yes saw them as well. I am always looking, lots of other nice items there for me as well, but prices sometimes a lot more than I would like to spend!! Don't find a lot of cheap M1's any more, people are getting wise to what an excellent collectable they are. I know where they are, but I ain't got the bucks. See ya in a couple of weeks. Mike. 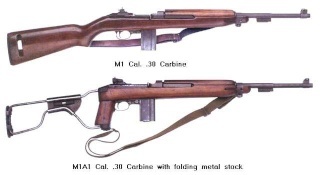 Many have leather slings, I am still learning, but don't recall seeing leather M1 slings around - are they original? Am having a few probs with the site at the moment, Trying to contact Billyvan about it, will try and e mail tonight. Mikey, I know that this is a really old post but when I saw this picture I drooled so much on my key board I thought it was going to short circuit . 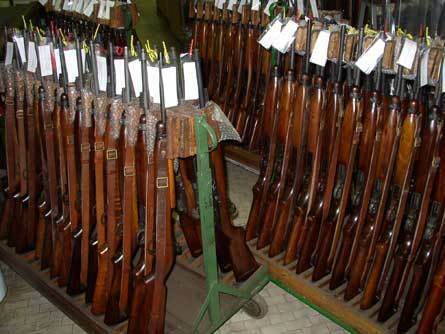 What I wouldnt do to have just one rack full of those carbines! WOW!